Art Represent is a platform dedicated to empowering and nurturing artists who are from conflict regions around the world by connecting them to a global audience and international network of collectors. 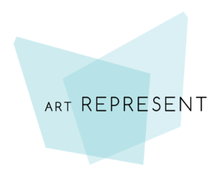 With an online commercial platform and a strong exhibition program, Art Represent works closely with artists and provides them with a much needed infrastructure to continue to create work and increase their reach. Alongside public projects and exhibitions at our gallery space in East London, we host a series of talks and events increasing awareness and interest in art from conflict regions. The Art Represent gallery space is funded by our online commercial platform, and is entirely devoted to realising public projects where creativity is at the centre of focus rather than commercially driven goals. We support our artists to bring to live their visions and concepts.